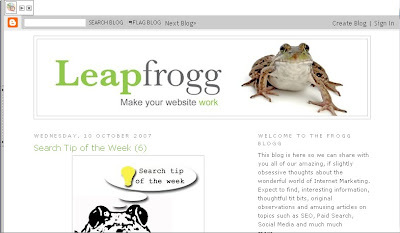 Home The Froggblog Does Scrolling really harm your website? Does Scrolling really harm your website? 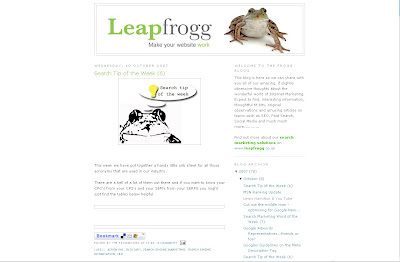 OK, so you have a great site, have lots to say, are an expert in your field and your site also looks great in 1280×1024. But, you have just found out that people are still using 800×600 and these people can only view 419px area above scroll, so are seeing barely half of your fantastic new site. What do you do?……….. In my opinion, designing for 800×600 would not be designing for the majority of users. I don’t for one minute consider that those using 800×600 are inconsequential, I just believe that a compromise is probably better in this case. The percentages of those on high and low resolution is still in some contest, some will argue that its 7% on 800×600 others 14% leaving the majority with a fairly significant share, but it is something that should be factored in when considering copy placement and positioning of a companies USP at the very least. * The average location for the fold is between 430 and 860 pixels down on the page. * 76% of people will scroll below the fold. * 91% of pages are long enough to require scrolling. You have to keep in mind that behind these percentages lie actual individuals, and user behavior is split between certain groups of individuals that make up the Web Population i.e. : Methodicals and Humanistics these are users driven by information gathering and will most likely scroll in order to find what they need, their opposites are the Spontaneous and Competitive types who make up, probably the majority of site bounce ratios, these users are far more fickle and indecisive, and therefore need to access information easily and quickly. Considering the brain can absorb thousands upon thousands bits of information per second…10 seconds is long enough to get your message across. Of course for more information on usability visit the Jakob Nielson site.